I do not even have to visit this link to concur. 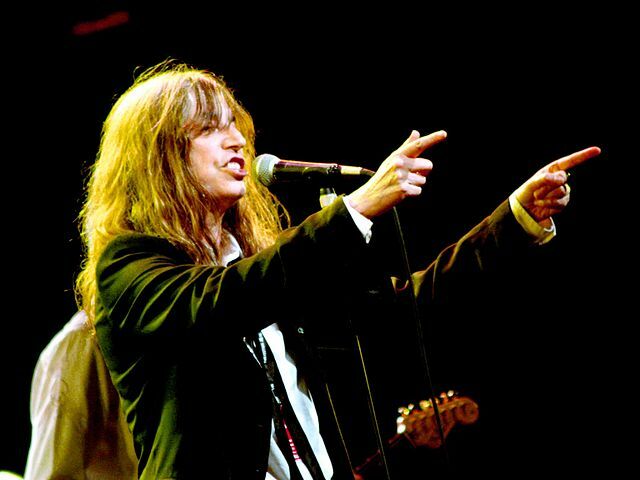 Patti had the audacity to take a song that defined a generation and was an instant classic and turned it into another classic that was a reflection of that same time, like two bookends that compliment each other. A banjo! OMG! What a glorious cover. I would love to hear this in concert. Come to Fort Worth, Patti. I really thought she would list Stephenie Meyer. Patti’s recent stuff seems so derivative of all of Steph’s output. We have some of the same favorites. Or best loved. I discovered “Raise High the Roofbeams” when I was 18 or 19 and thought it was about the coolest things I had ever read. This was fifty or more years ago. I’ve read some cooler things since, but I still read some of it now and then. But I wonder, what about Phillip Roth? There must be something that keeps him off of your list. I’d love to know what. He is the twentieth century author that has moved and prompted me the most.